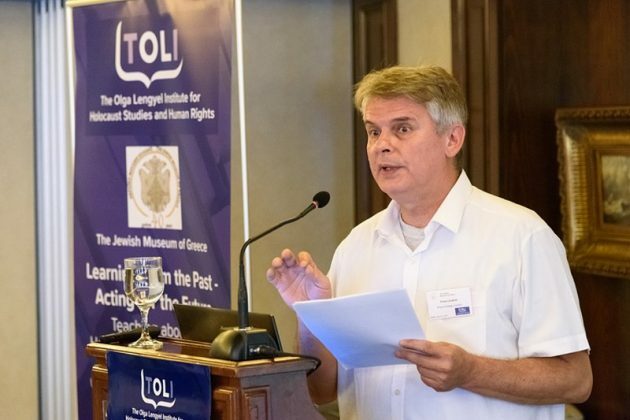 The Jewish Museum of Greece (JMG), in cooperation with The Olga Lengyel Institute for Holocaust Studies and Human Rights (TOLI), held a three-day seminar for Greek educators on “Teaching about the Holocaust and Social Justice” in Athens on 10–12 July 2017. 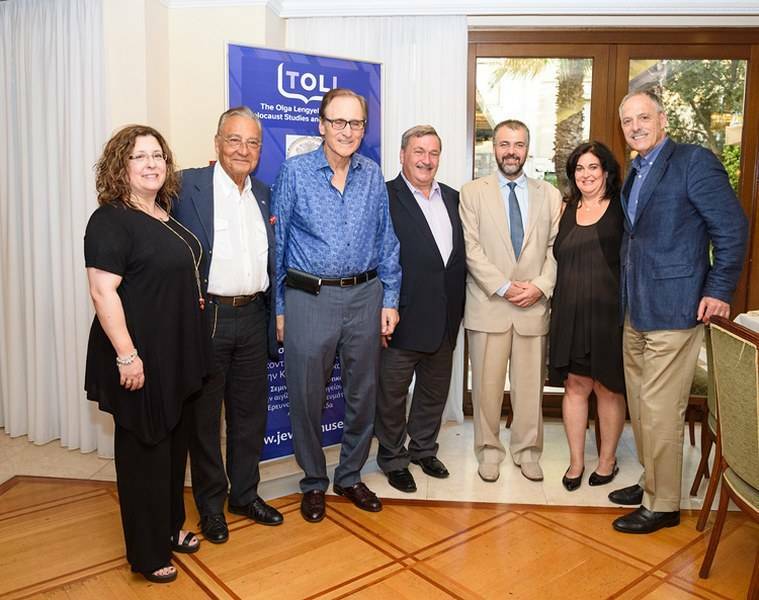 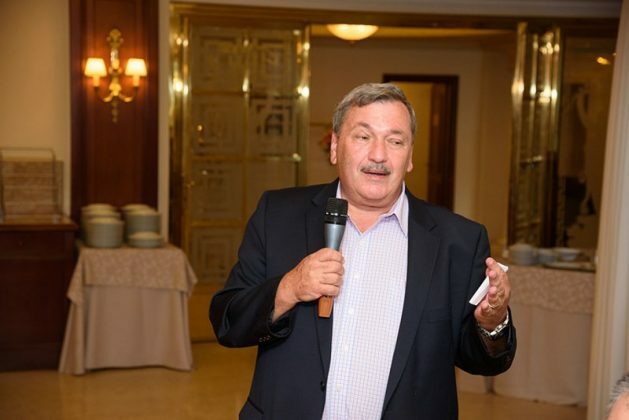 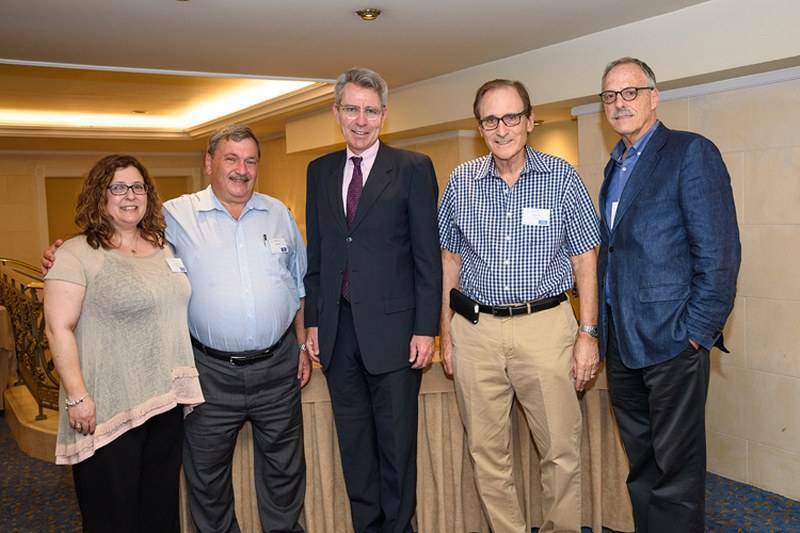 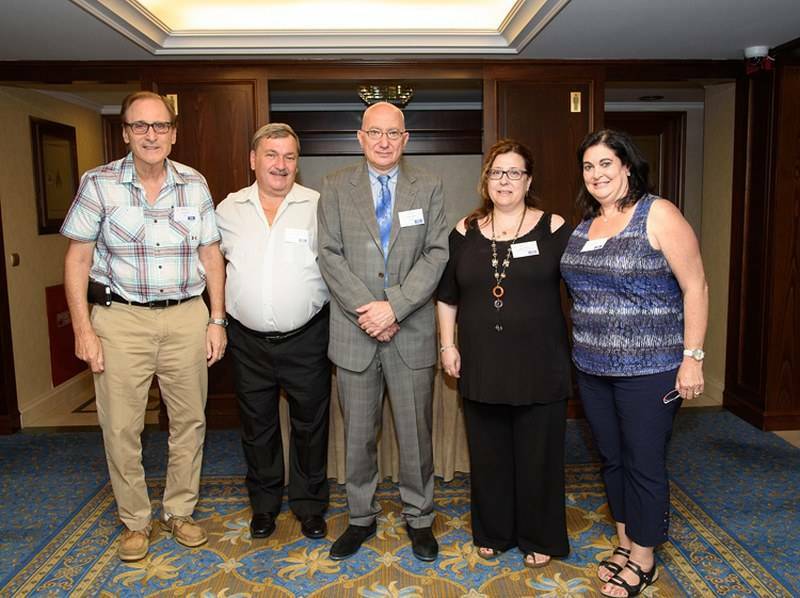 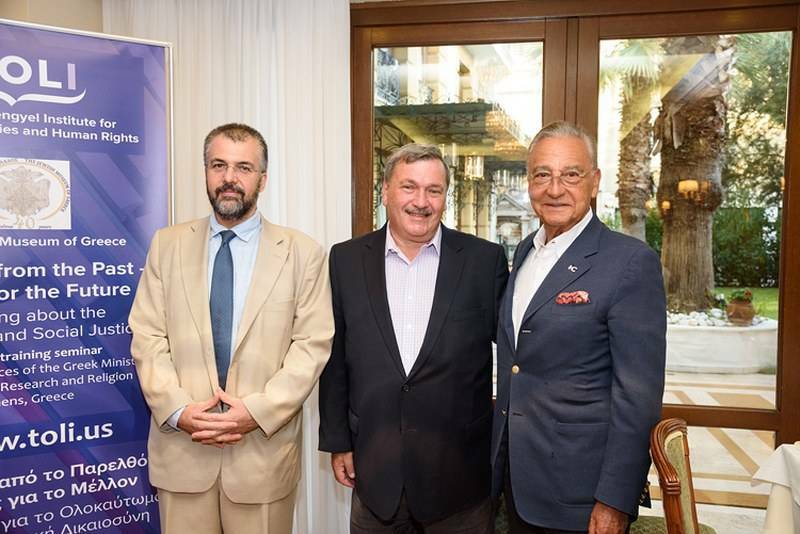 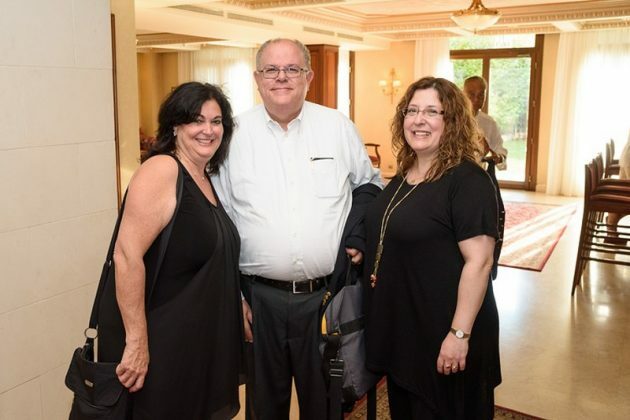 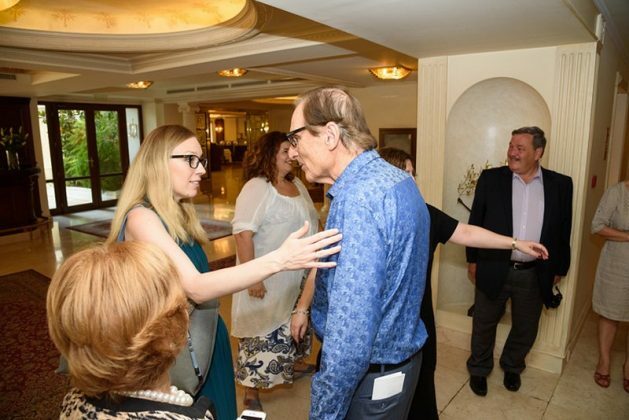 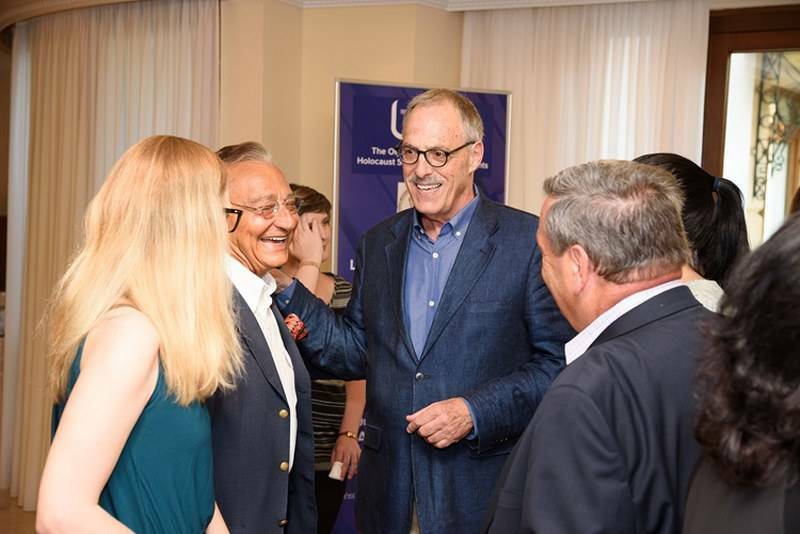 At the opening dinner, held on the evening of 9 July, the participating educators had the opportunity to meet each other, as well as the representatives of the TOLI, Greek Ministry of Education, Research and Religious Affairs, and Jewish Museum of Greece. 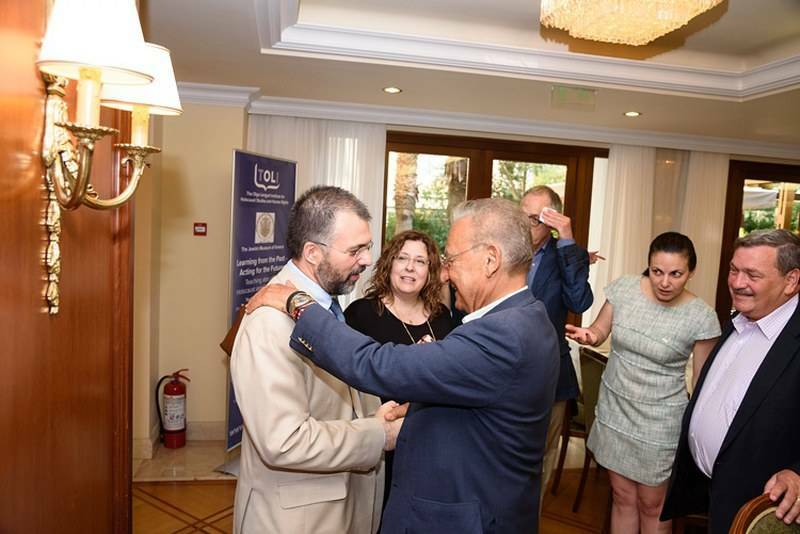 The attendees also heard short greetings and speeches by George Kalantzis, General Secretary of Religious Affairs at the Ministry of Education, who stressed the importance of such initiatives in the adverse times we live in; Samuel (Makis) Matsas, president of the JMG, who praised the training offered by the JMG and underlined the great importance of international cooperation, and Zanet Battinou, the JMG director, who thanked all those involved in the successful organization of the seminar and wished every success to the attendees. David Field, chairman of the board of TOLI, thanked the educators, who he hoped would transmit the lessons of the seminar to students, and spoke briefly about Olga Lengyel, the Jewish survivor from Hungary who survived Auschwitz and devoted her life to informing the world about what had happened during the Holocaust and how it is related with the present day. 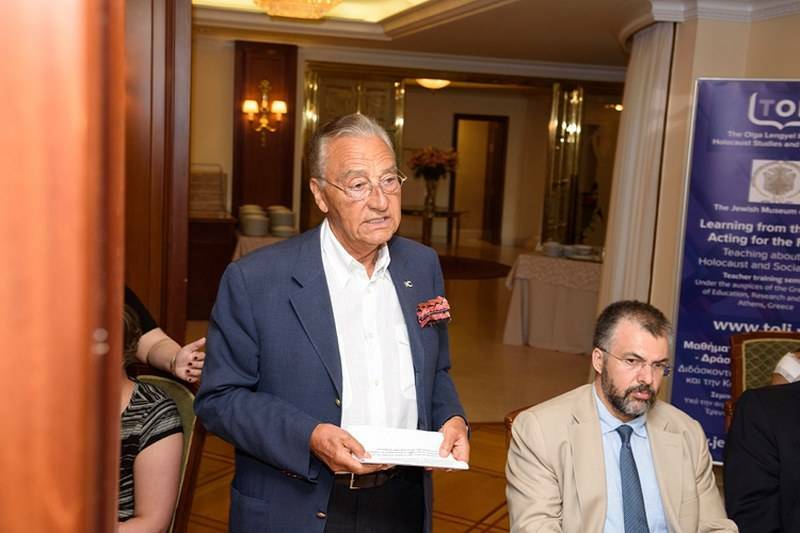 Lengyel authored Five Chimneys, which inspired William Styron in the writing of the novel Sophie’s Choice and the award-winning film of the same name. TOLI was set up to continue her work. 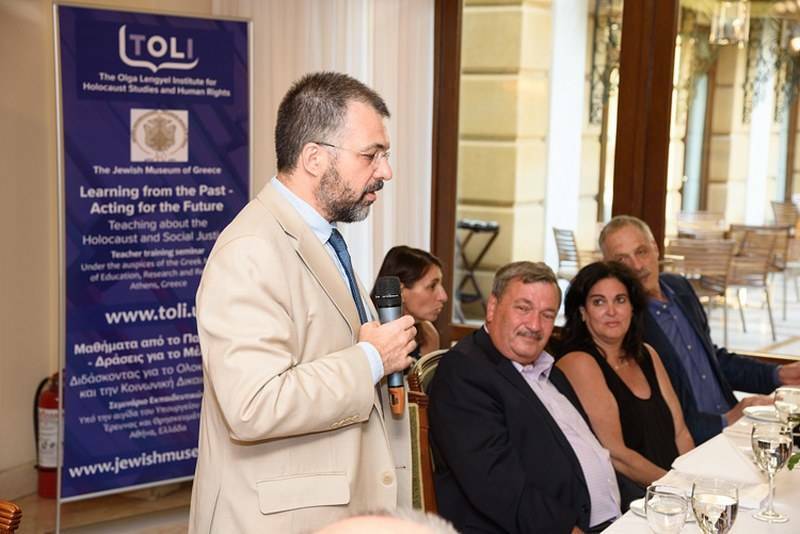 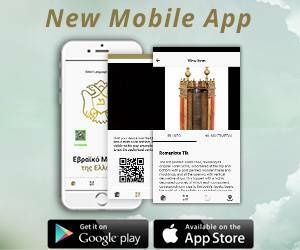 Mark Berez, CEO of TOLI, thanked the Greek Ministry of Education and the Jewish Museum of Greece for the excellent collaboration. 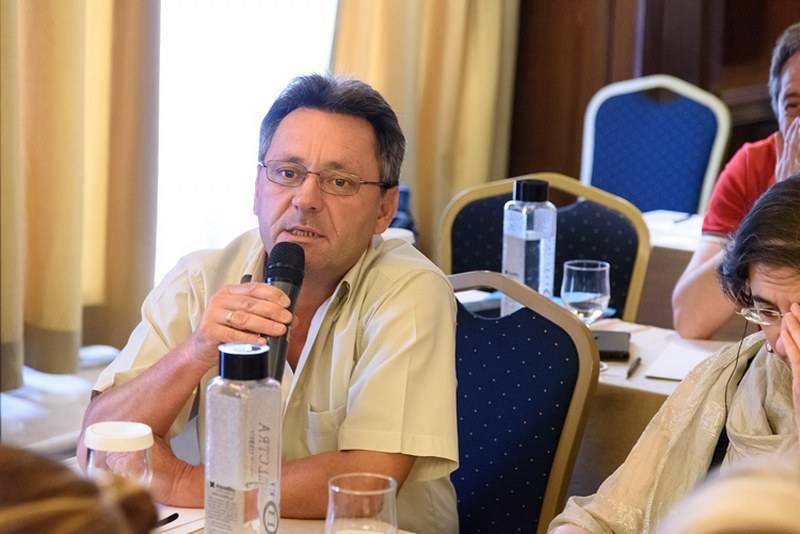 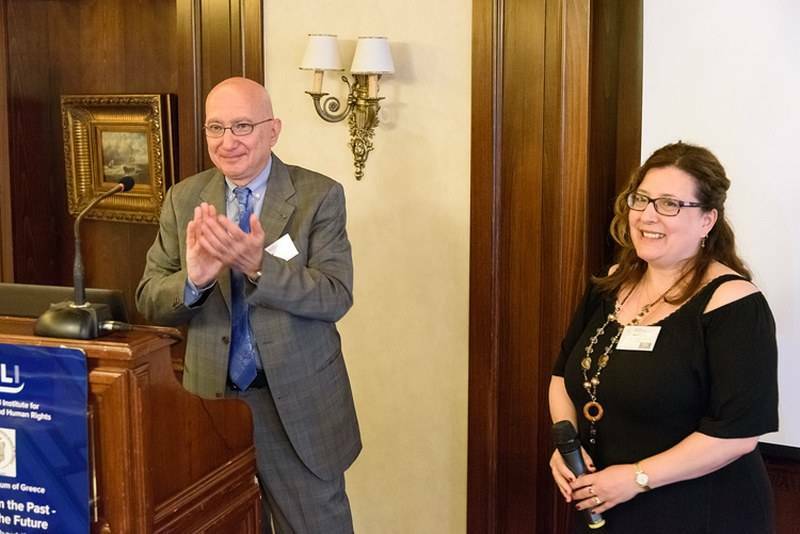 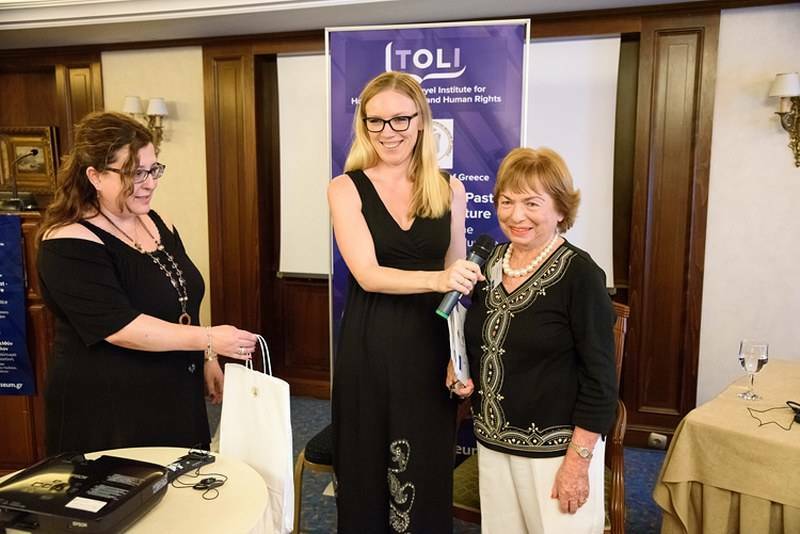 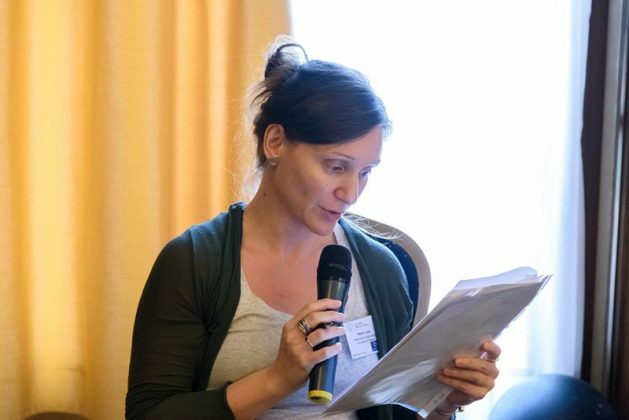 Oana Nestian Sandu, international program coordinator at TOLI, explained that TOLI is already working towards creating a European network of educators interested in social justice and the Holocaust, which will now include teachers from Greece. 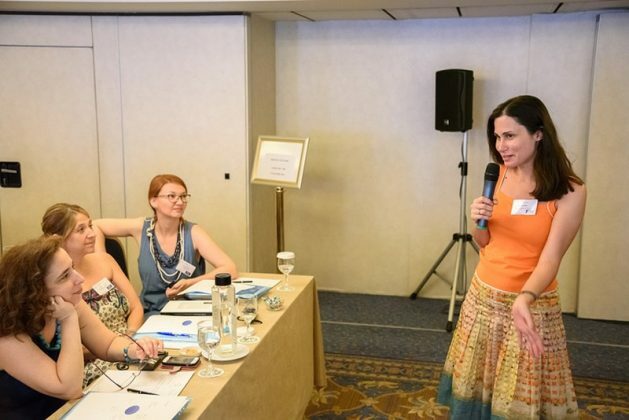 The first day of the seminar, whose work was welcomed by the U.S. 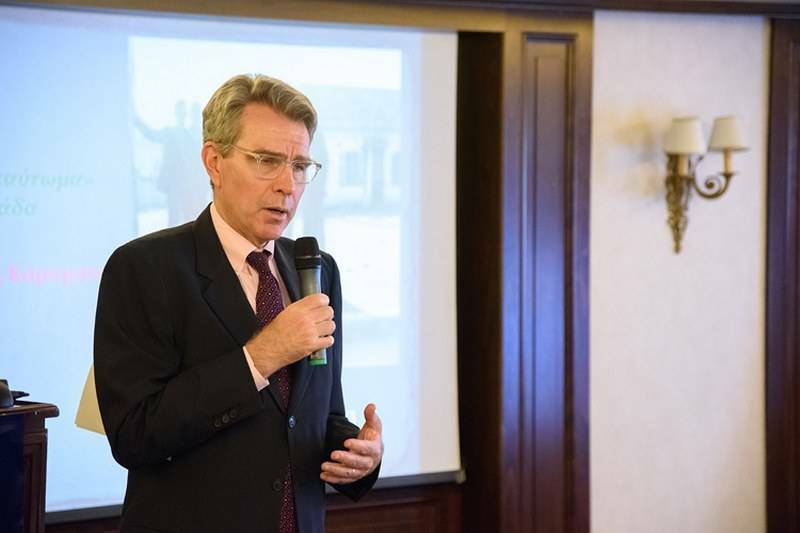 Ambassador, Geoffrey R. Pyatt, included a detailed presentation of the program and its objectives by Oana Nestian Sandu; it also included a workshop, also conducted by Oana Nestian Sandu, on the issues of identity and the stereotypes shaped around it that prevent us from reaching out to each other. 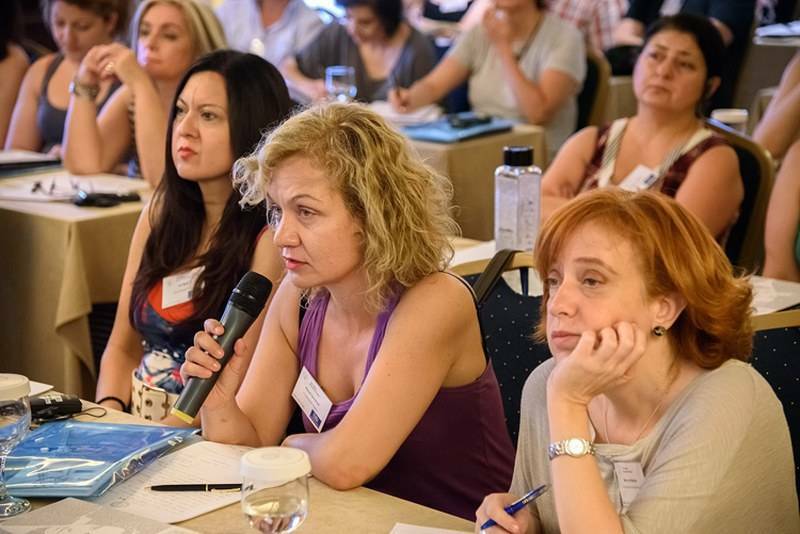 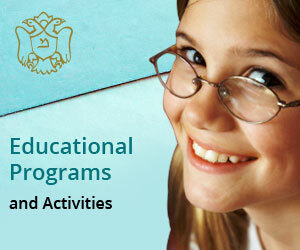 During these first two sessions, educators were also able to formulate their expectations and demands. Most of them expressed the need to get practical guidance on how to teach about the Holocaust and prepare visits to sites of memory. They also expressed the desire to create exchange networks among them, both at national and European level. 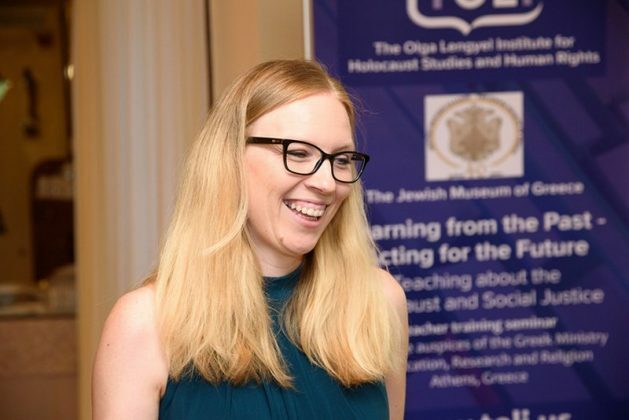 The first day also included two extensive lectures on the history of Greek Jewry from antiquity to modern times, by historian Daphne Lappa, and on the persecution of Greek Jewry by historian Philip Carabott. 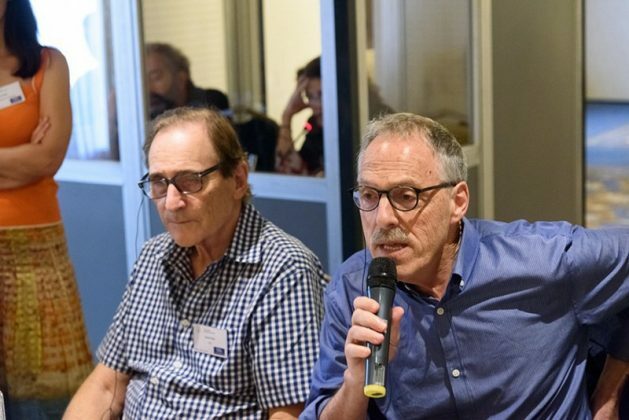 Lappa presented the basic space-time routes of the Jews who settled in the Greek lands and interacted with the other population groups that lived in it. 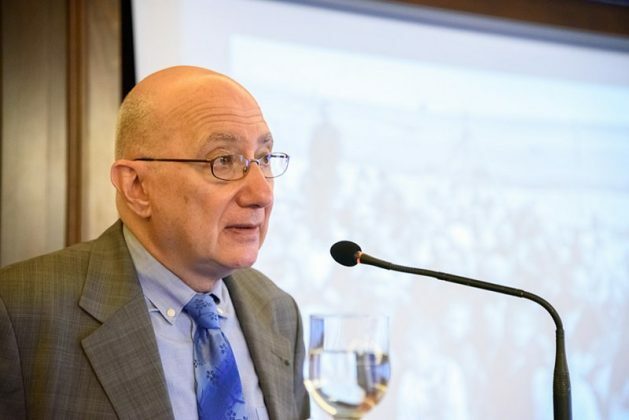 Philip Carabott examined some stereotypical narratives, such as the one that views the Jews as having been “led like a lamb to the slaughter”, and emphasized the study of the choices that the historical subject – Greek Jewry – were faced with during the Nazi occupation of Greece and the Holocaust. The first day of the seminar ended with a detailed tour of the two Athens synagogues and the Holocaust Memorial by Rabbi Gabriel Negrin, who answered many questions regarding Judaism. 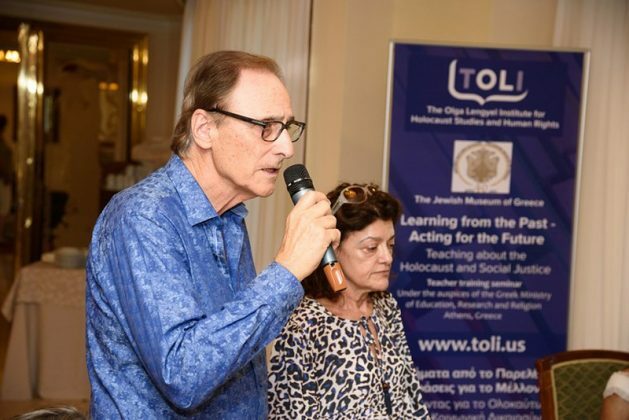 The following day the participants attended two detailed lectures by Radu Ioanid, director of the International Archival Program of the United States Holocaust Memorial Museum (USHMM). Radu Ioanid outlined some of the USHMM’s work, including its research programs, library and research scholarships, and encouraged teachers to contact the museum for further information. Then, using rich photographic material, such as pictures of propaganda editions for children, he spoke about Nazi propaganda. 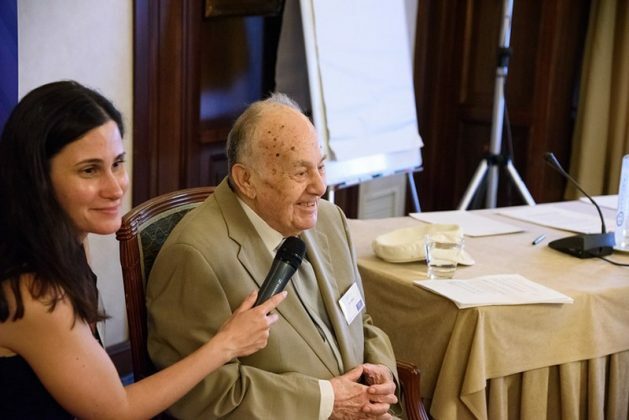 As he pointed out, the propaganda of the Nazi regime addressed, in a simplistic way, the sentiment of the general public. In his second talk, on national Holocaust-related myths, he stressed the importance of looking at the historical context in which the genocide took place as well as considering the degree of local collaboration in each country. 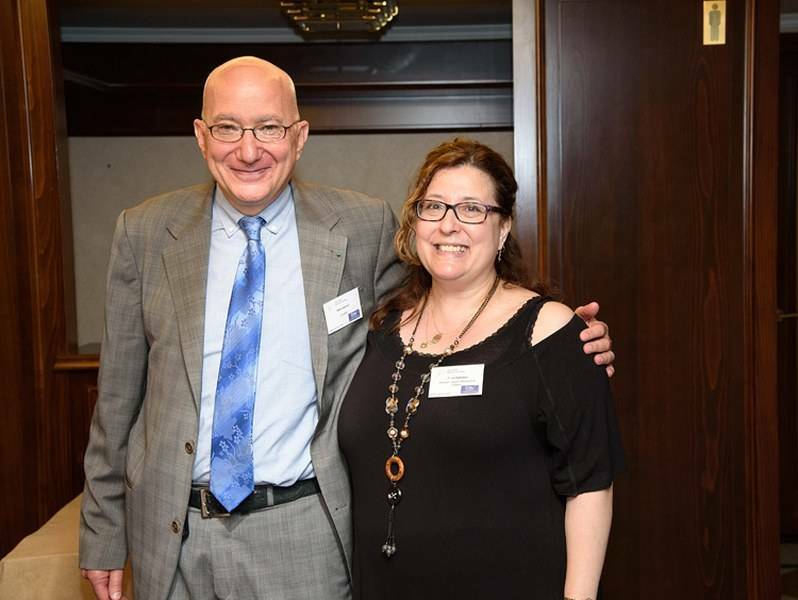 Survivor testimonies, provided by Isaac Mizan from Arta and Assia Raberman from Poland, were met with great enthusiasm. Attendees were deeply moved with the personal stories of both survivors. 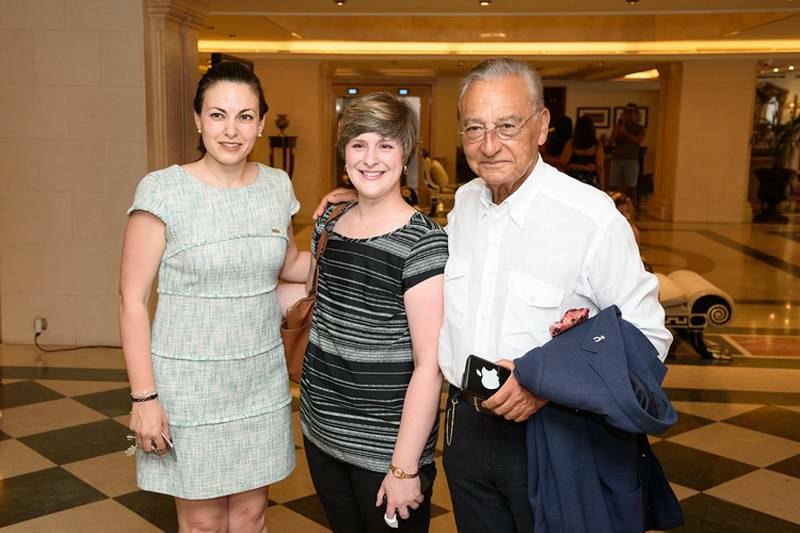 Isaac Mizan spoke about his childhood in Arta and his deportation, along with his family, to Auschwitz death camp. 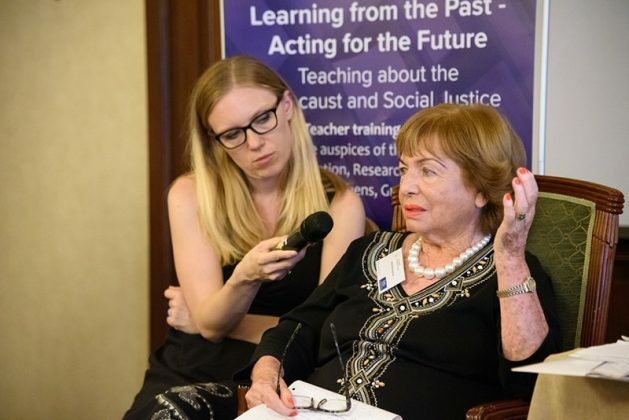 Assia Raberman addressed the tough experience she had as a hidden child who lost her parents during the Nazi occupation of Poland. 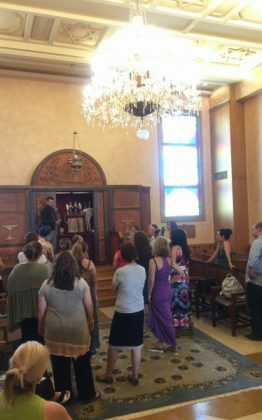 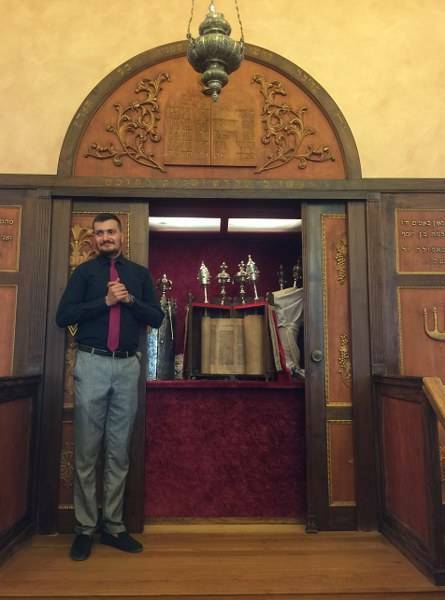 The day ended with an extensive tour of the JMG by its director, Zanet Battinou, and a meal at Gostijo restaurant, where the teachers tasted authentic Sephardic flavors and had the opportunity to talk among themselves in a laid-back environment. 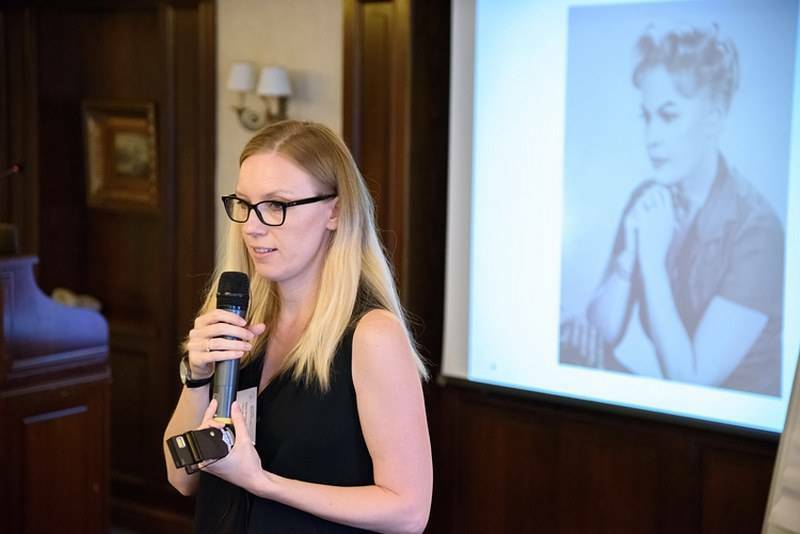 The third and last day of the seminar began with a workshop on the use of testimony in the teaching of the Holocaust, provided by historian Eleni Beze. 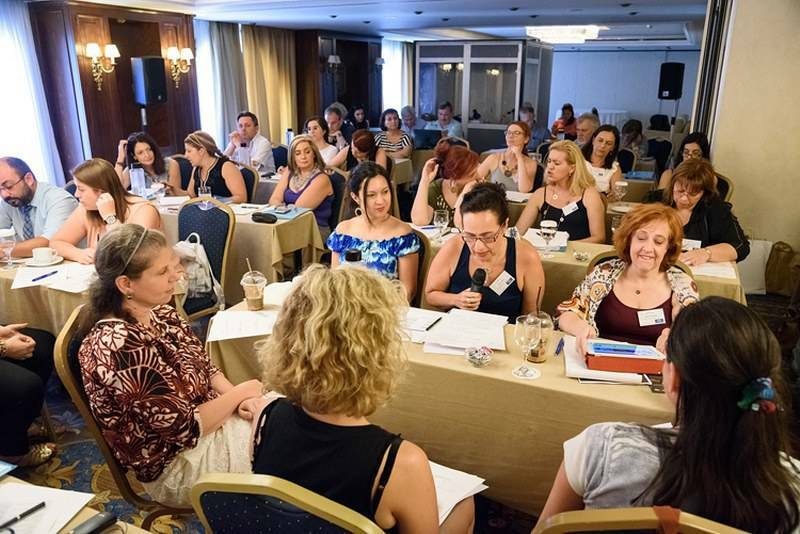 The educators, having heard a brief presentation on hidden children, worked in small groups on written testimonies of Jewish children who during the occupation found shelter in Athens. The purpose of this group work was to organize a relevant study module, which could also form the basis for more extensive work on hidden children. 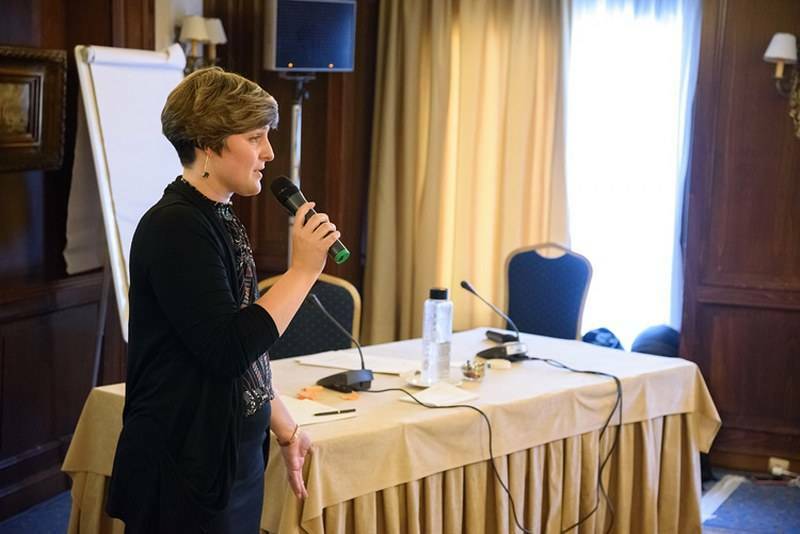 This was followed by a workshop by Oana Nestian Sandu on the subject of teaching human rights. 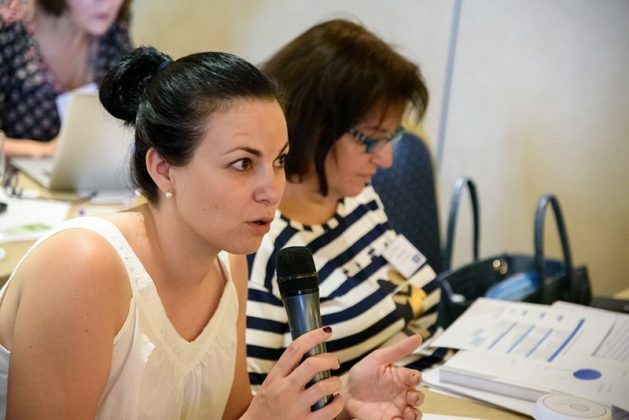 In the practical part of the workshop, teachers worked in groups on specific rights, for example, the right to education, and talked about what the case under Nazi occupation was and what violations of that right took place at that time before moving on to a discussion of what the case is today. 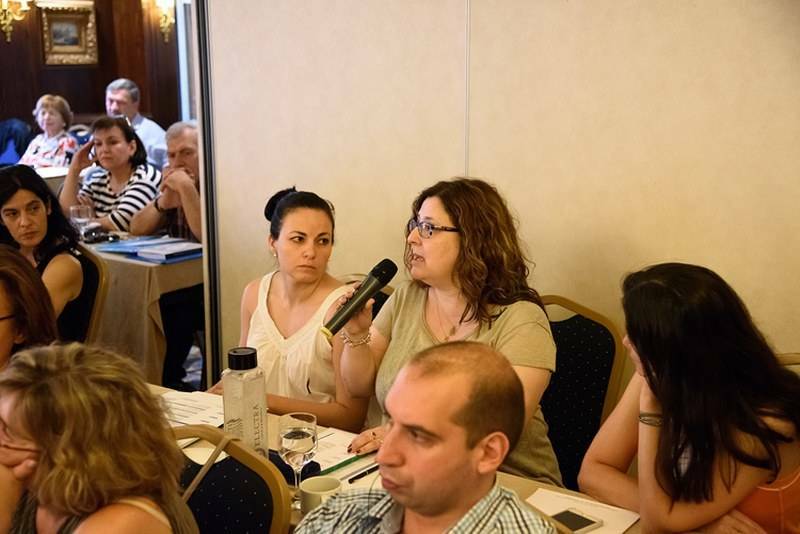 The three-day seminar wrapped up with the drawing up of an action plan. 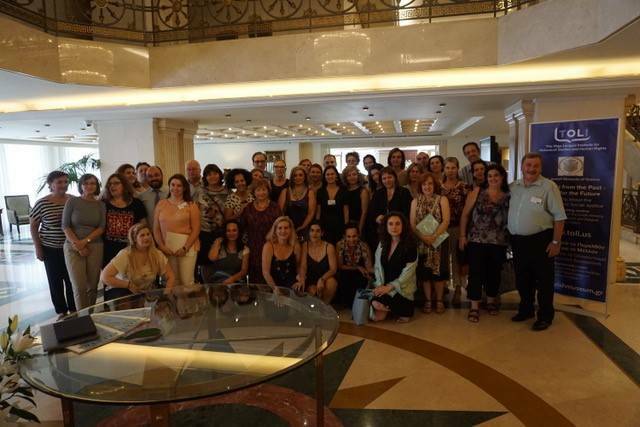 The educators worked together with partners of their choice and presented their ideas for future educational activities. Following the evaluation, seminarparticipants, after completing the relevant questionnaires, shared their thoughts and feelings. 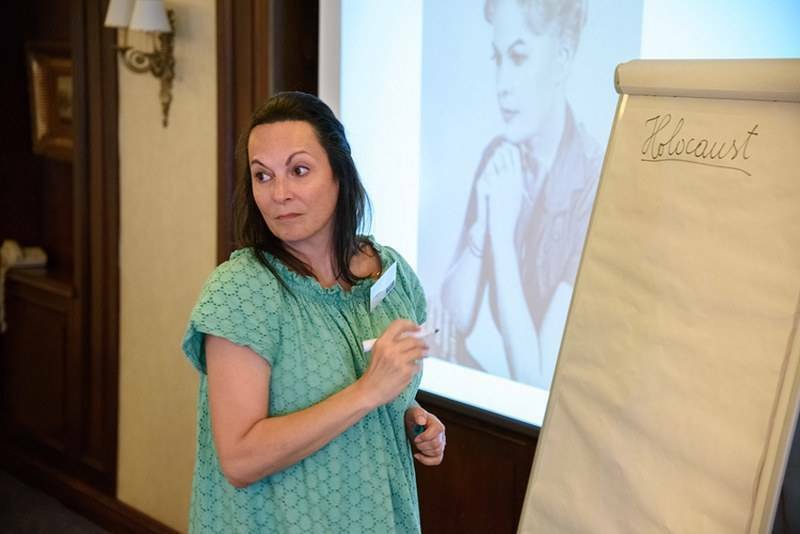 Teachers who participated in the seminar became members of the Holocaust Educators Network, which will enable them to stay in touch with each other and learn about materials and strategies that they can use in the classroom. 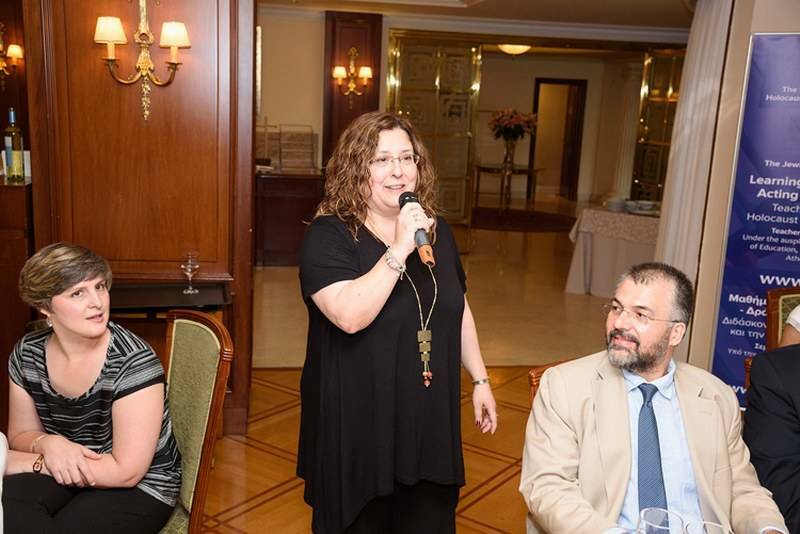 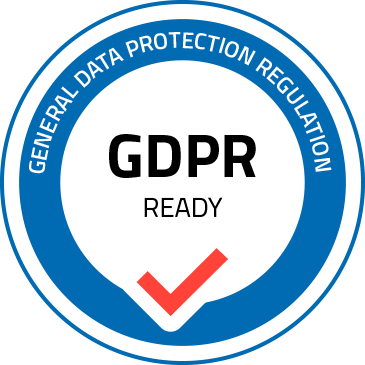 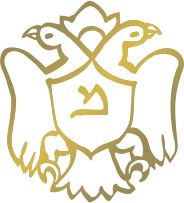 The experience, constructively shared by all participants, was completed with a farewell dinner at the Old Athens (Palia Athina) restaurant in Athens’ Plaka district.